It’s undeniable. Thousands of studies have proven that solar panels are not just for the ecoconscious. 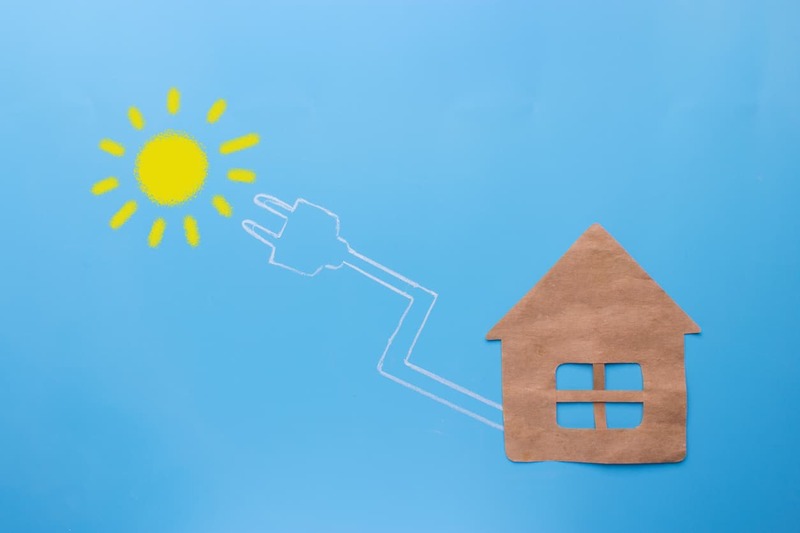 As the Washington Post reports, these energy generating home accessories will save you a ton of money. But before you buy, you need to ensure that you’re investing in quality solar panels that will power your house no matter the weather. Solar photovoltaic (also known as solar PV) systems convert energy from the sun into electricity. You can save money by harvesting this free electricity. 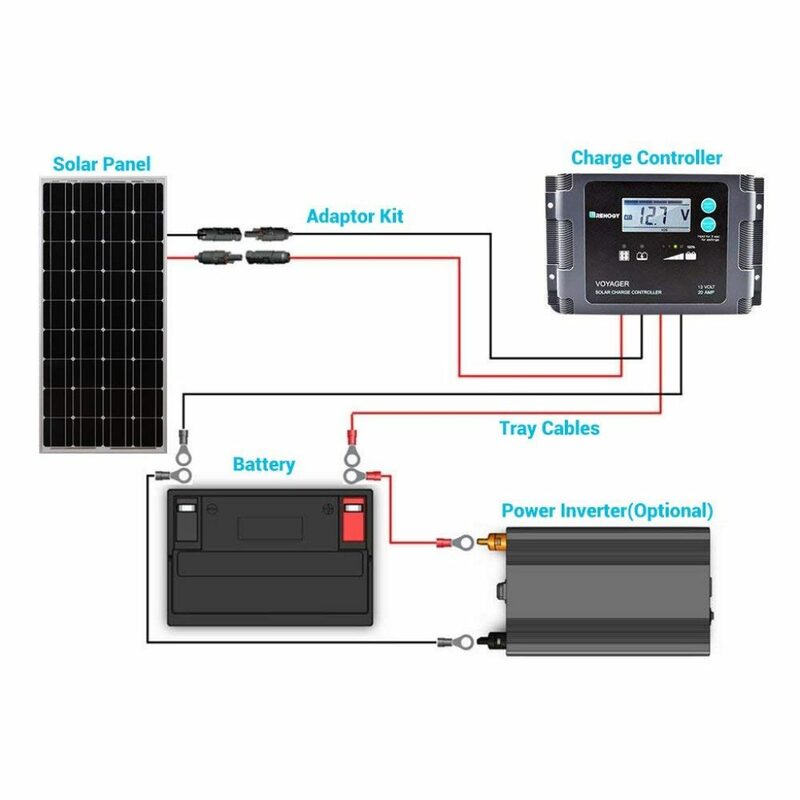 Solar PV systems can be relatively simple to buy and install, with their main components being solar panels or modules. The solar panels are made from a thin layer of semi conducting material between a sheet of glass and one of polymer resin. When the daylight hits the panel, the material produces electricity. These use cylindrical silicon ingots to collect the energy. 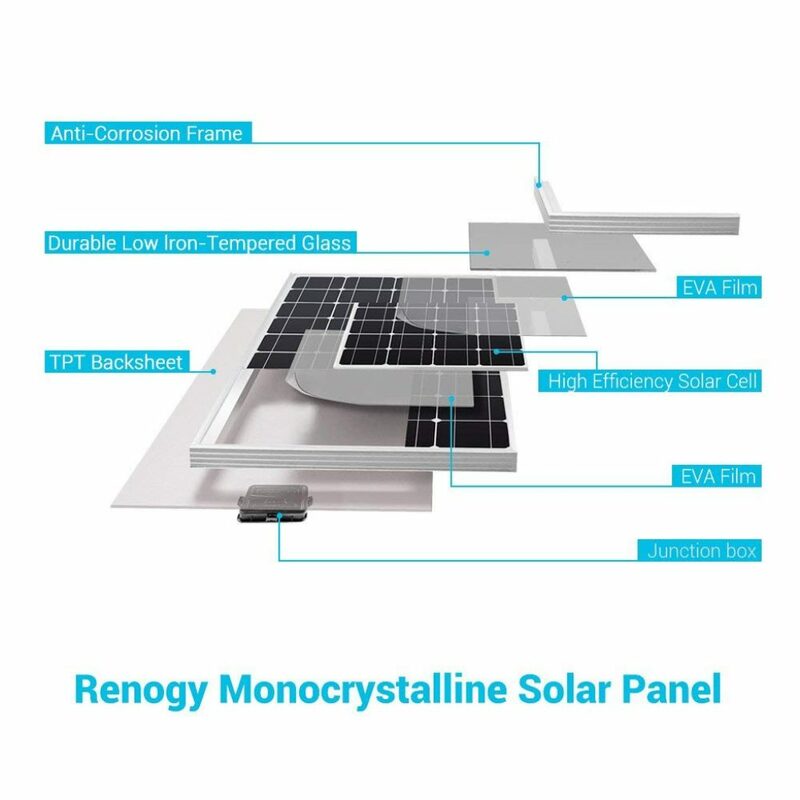 To optimize performance, increase space efficiency, and lower the costs of a single solar cell, four sides are cut out of the cylindrical ingots to make wafers, which is what gives monocrystalline solar panels their characteristic look. These typically have the highest efficiency rates at 15-20% and can last up to 20-25 years, but they do work out as the most expensive type. 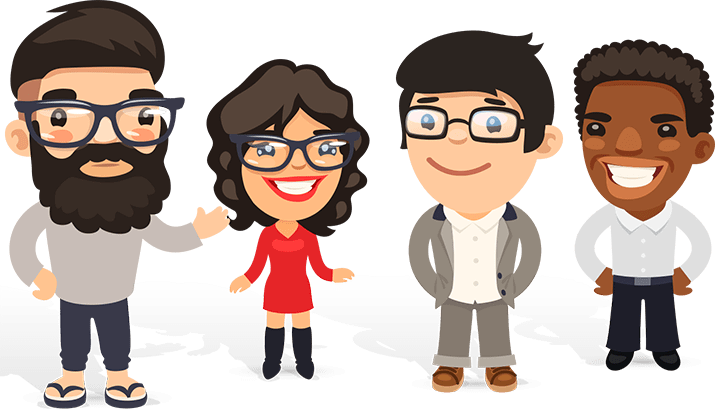 Polycrystalline cells have been around since the early 80’s and consists of raw silicon that’s melted and poured into square molds, which are then cooled and cut into perfectly square wafers. Unlike the monocrystalline, these solar cells look rectangular with no rounded edges. 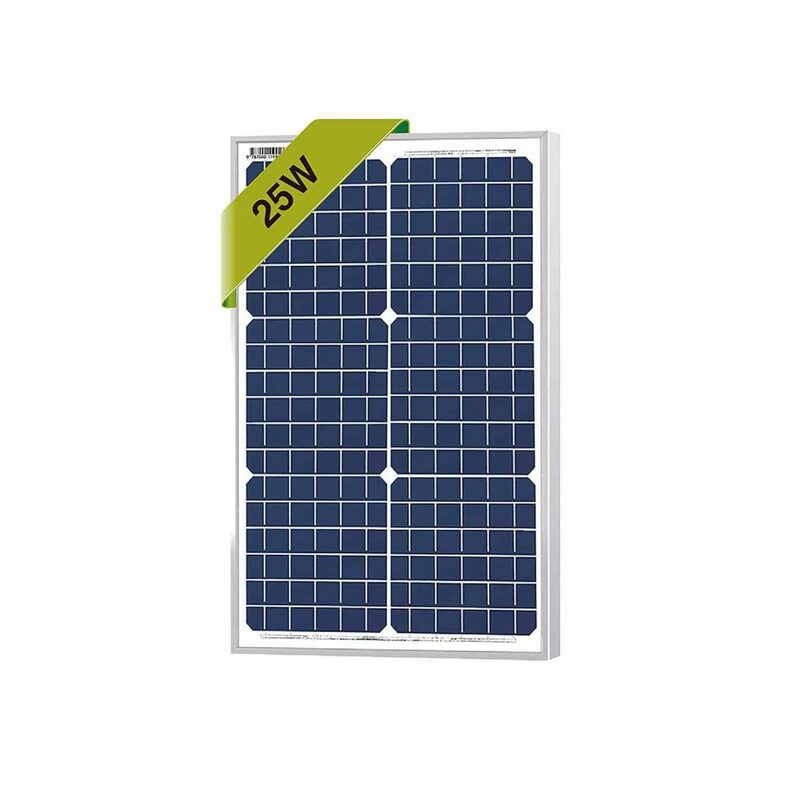 Their efficiency is lower than monocrystalline panels at around 15%, a larger surface area is necessary to utilize the daylight and they are generally cheaper. String Ribbon is the name of a manufacturing technology that uses the same form of polycrystalline silicon. Temperature-resistant wires are pulled through the molten silicon, which results in very thin silicon ribbons. In appearance they are like polycrystalline cells and their efficiency is similar at approximately 13-14%. They are the cheapest type of solar panel. There are other types of solar panels available, such as Thin-film, but these have even lower efficiency rates and as a result are not as popular for residential buildings. 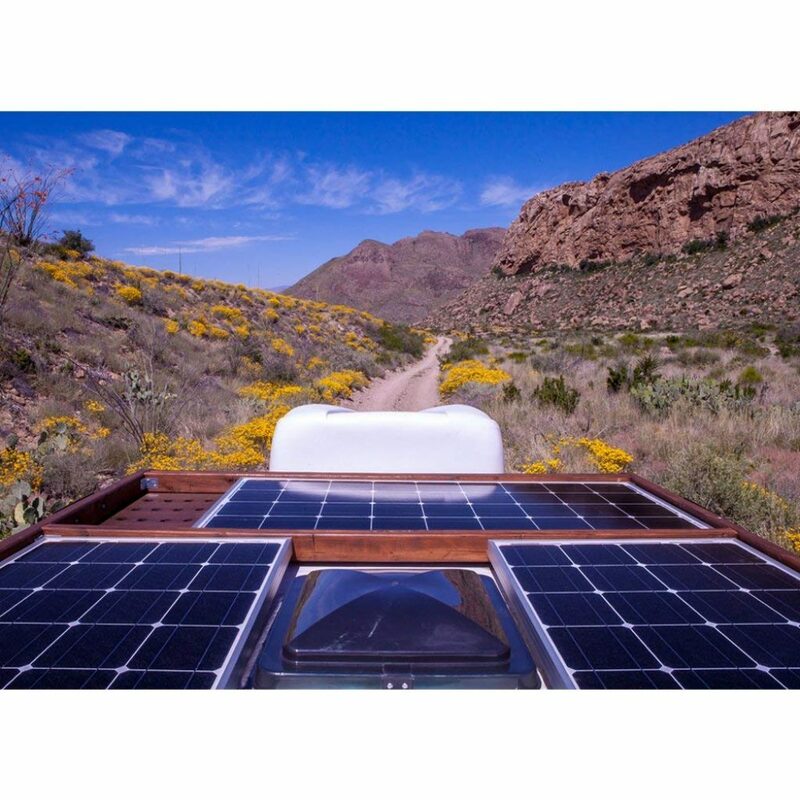 There is also a huge range of portable solar panels designed to harness daylight, converting it to energy to charge up car batteries, lighting, cell phones and camping equipment. These are very effective and are built along the same lines as the mono and poly solar panels. Solar power is categorized as the energy source of the future by the Department of Energy. So what better time to kit out your home? The shipping was fast, and it arrived extremely well wrapped. It comes with everything you need for installation and set it going, including very clear instructions. Construction wise, the frame is well made and has mitred edges. It feels sturdy, stiff and well able to withstand high winds and storm conditions if mounted on a roof. We also checked out the wiring and everything looks good. This is so simple to set up and start harnessing the daylight, even if you are a complete novice when it comes to solar power. It doesn’t require actual sunshine to produce electricity and is just as capable in low light conditions. You could easily add more panels as you need them. We were able to run a huge variety of appliances via this panel, and if we added more could run a whole house. 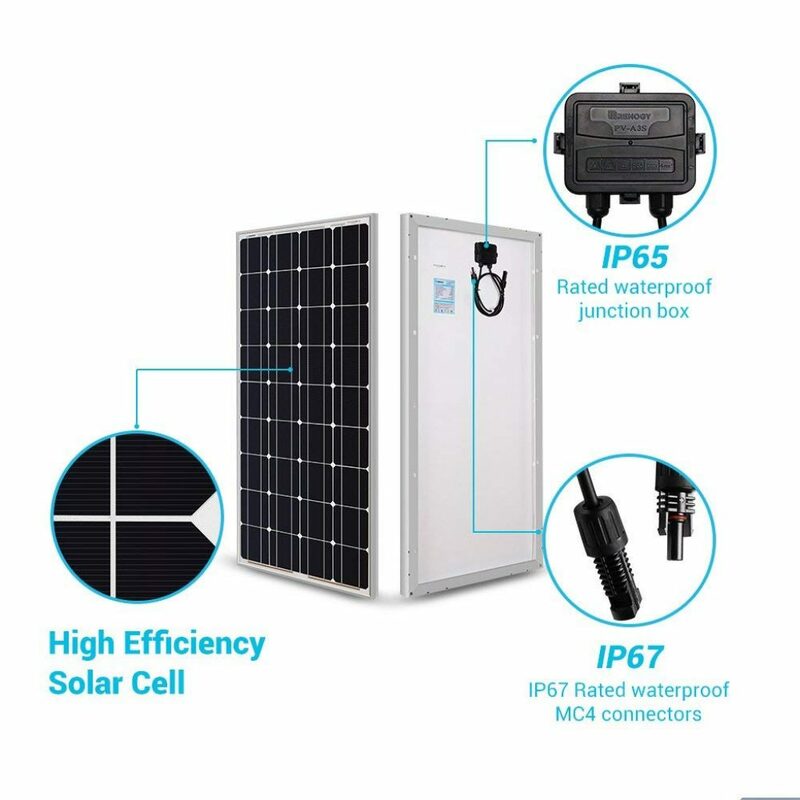 This solar panel comes with the diodes pre-installed in the junction box and a pair of 31 inch cables with MC4 connectors. It’s compatible with both on and off grid converters. This is a hard-wearing solar panel that can withstand high winds and snow. 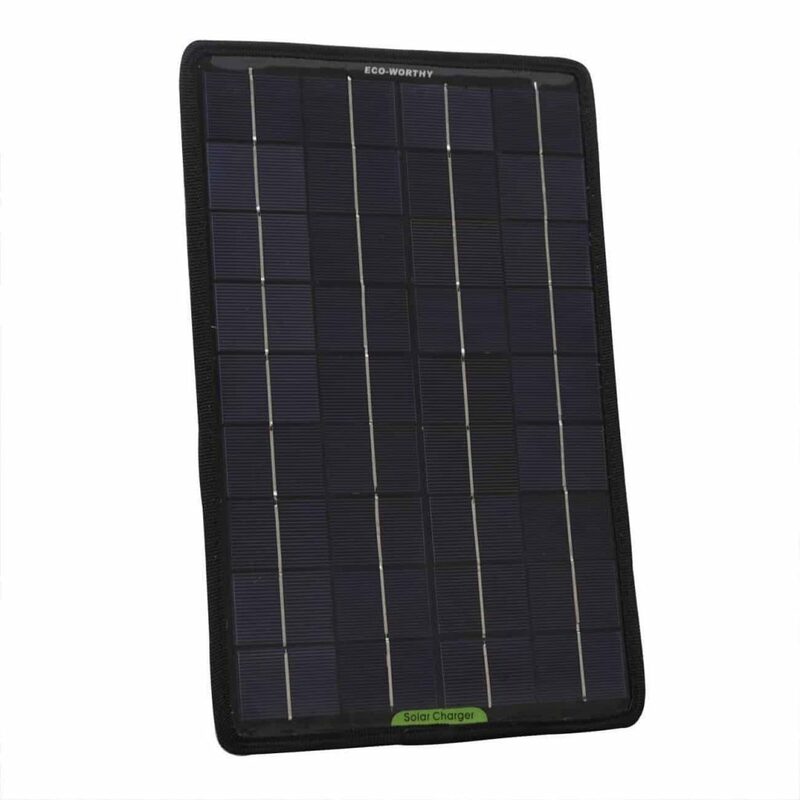 This is made possible by the aluminum frame, which is weather resistant and makes this solar panel extremely durable. In terms of warranty, you get a 25-year transferable power output warranty as well as a 5-year material and workmanship warranty. Easy to install, simple to use, and very cost effective, we've gone back for more! With super fast shipping and excellent packing, this panel looks tough and well made. The wiring appears solidly connected, and ready to go. The instructions seem a bit confusing, but we’ll follow them and see what happens. 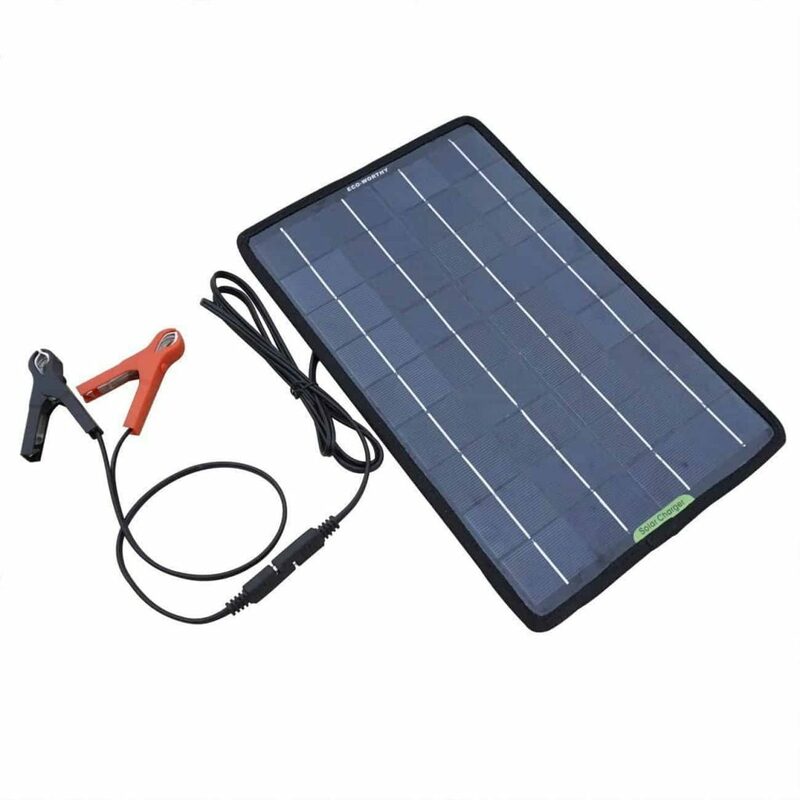 The instructions of this monocrystalline solar panel were, in fact, very easy to follow in the end, so we were soon ready to start charging. 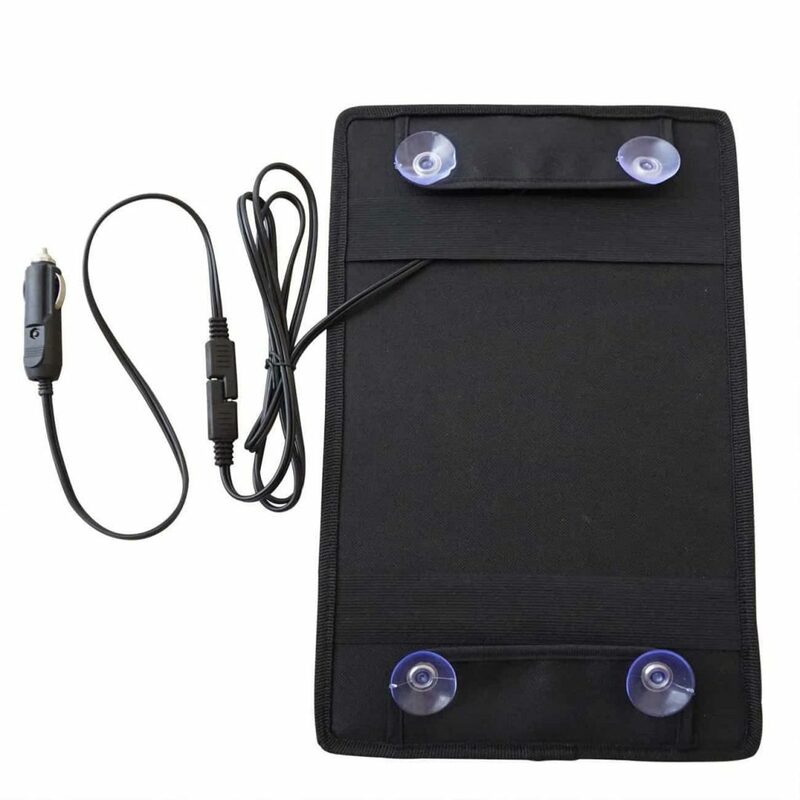 This little panel can be used to charge a variety of items, not just feeder batteries – we used it with cell phones and lights whilst camping out in the woods, which it did very well. 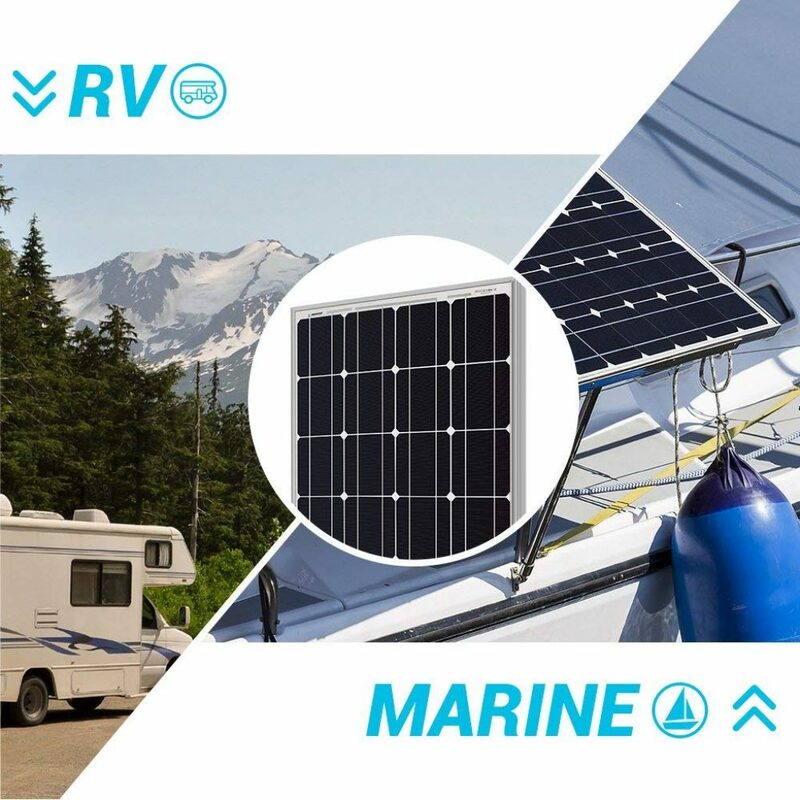 The mounting bracket and hardware of this solar panel are made from durable aluminum, and there is a polycarbonate front cover. 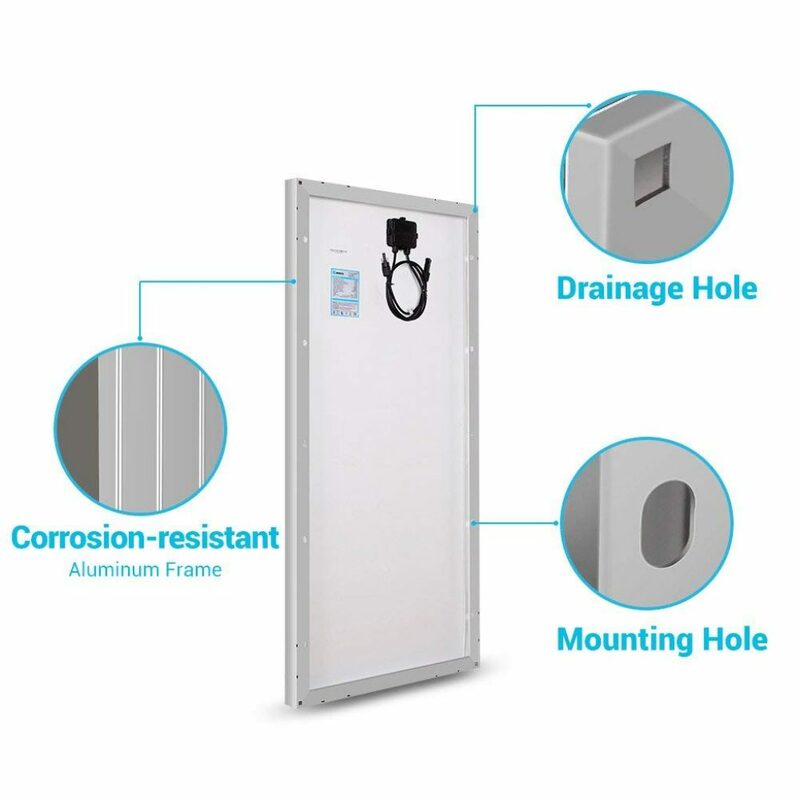 Within the surrounding frame, the manufacturers have thoughtfully included predrilled holes for easy mounting. We like the fun addition of alligator style clips. 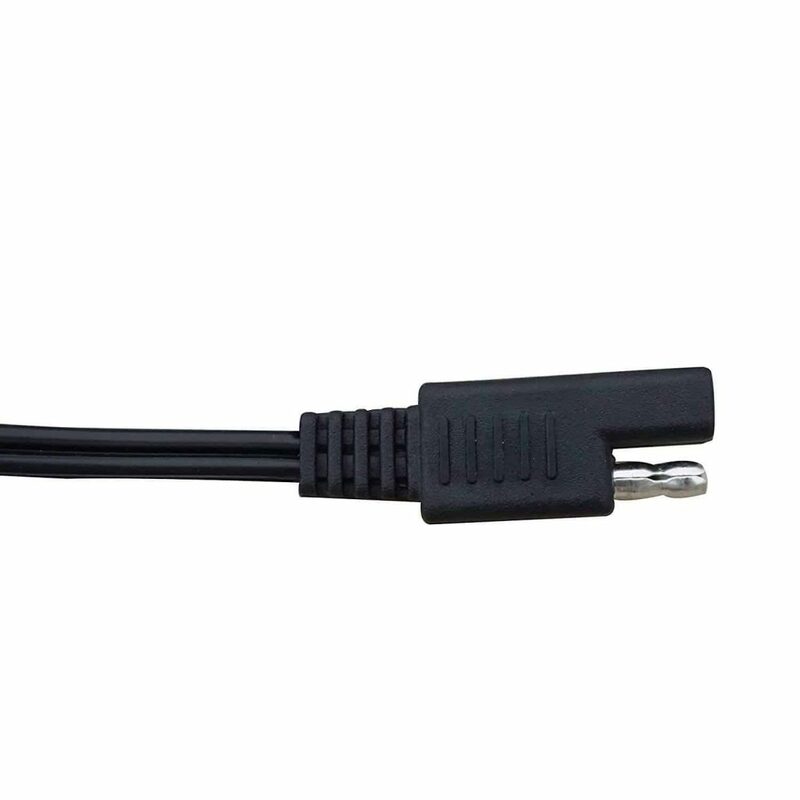 The cables need to be firmly attached to the charger; initially we didn’t put them in far enough, and they were easily knocked out, but once replaced properly, they were fine. This certainly isn’t a deal breaker for us. A great little solar panel that works well even on more overcast days. It’s a great price and very easily packed if you’re going on a trip. This arrived earlier than expected, was well packaged, and looks very tough and rugged. The box contains all the clips, cables and connectors that you need, and the instructions are clear and concise. This is great for keeping the SUV battery charged; since it isn’t frequently driven on long journeys, we did have a problem with the battery, but not since using this to keep it topped up. 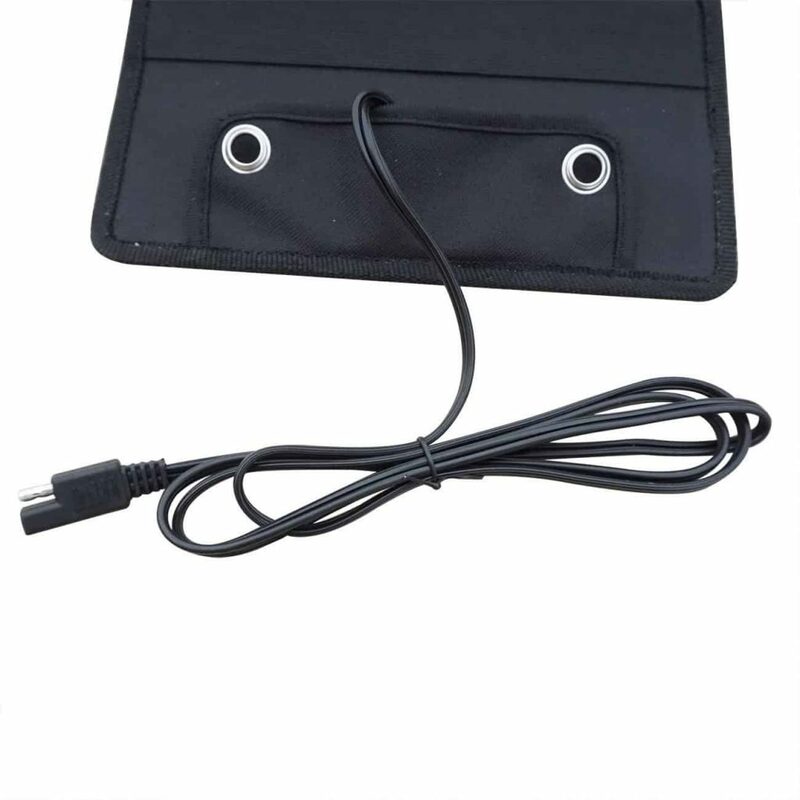 As well as the SUV you can use this to power up motorcycles, snowmobiles and other automobiles. 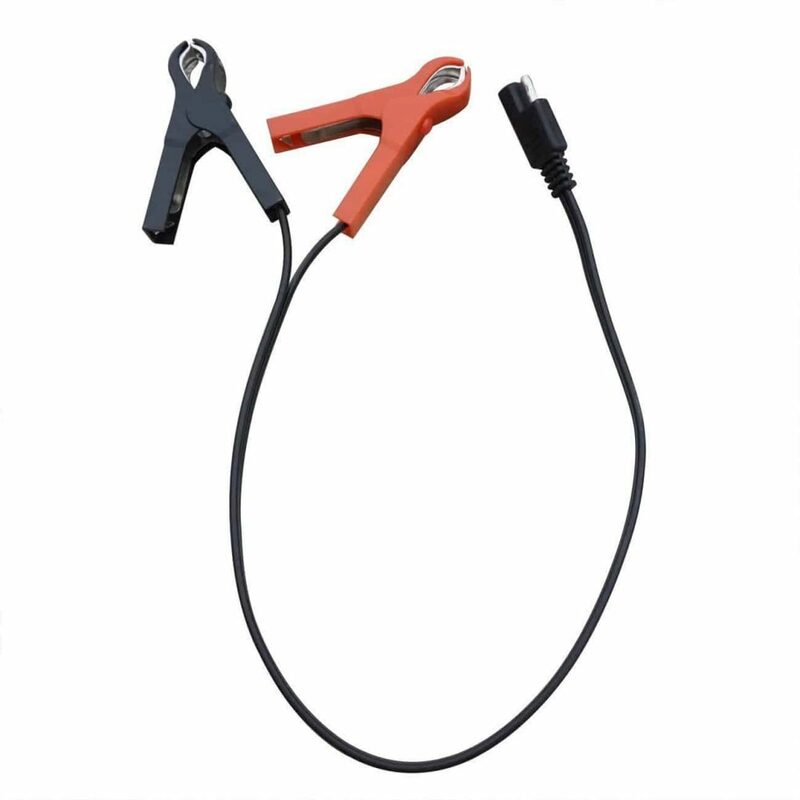 We’ve tested it on agricultural vehicles, a boat battery, and motorcycles and every time it’s charged the batteries and kept them on full power. It’s neat, beautifully light weight, easily transported and can be kept in your vehicle ready to be used. 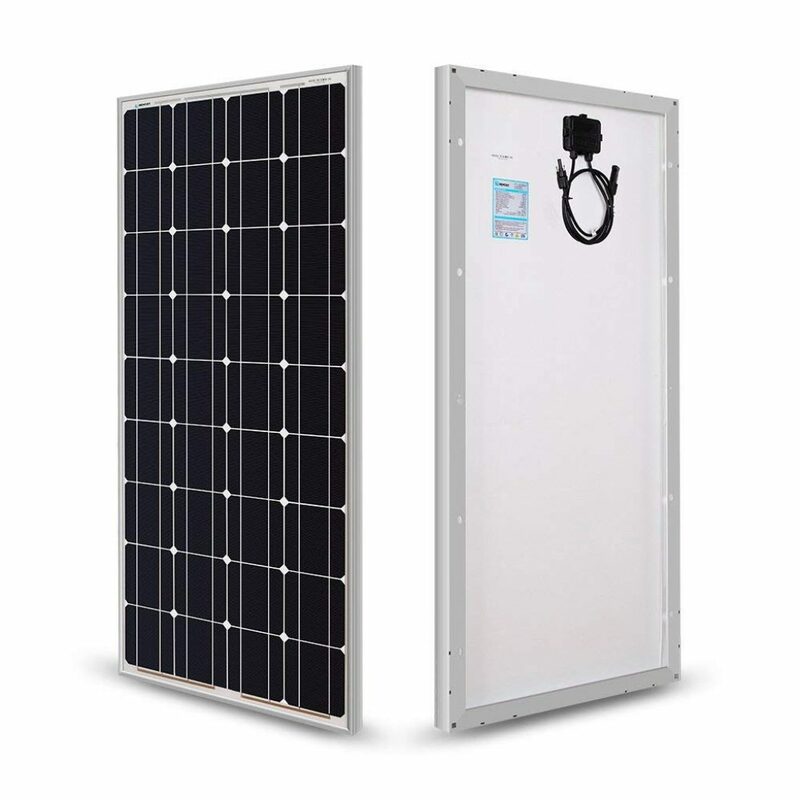 What’s more we were pleased with how strong it is; this solar panel is protected with shock proof, rust proof and dust proof layers. 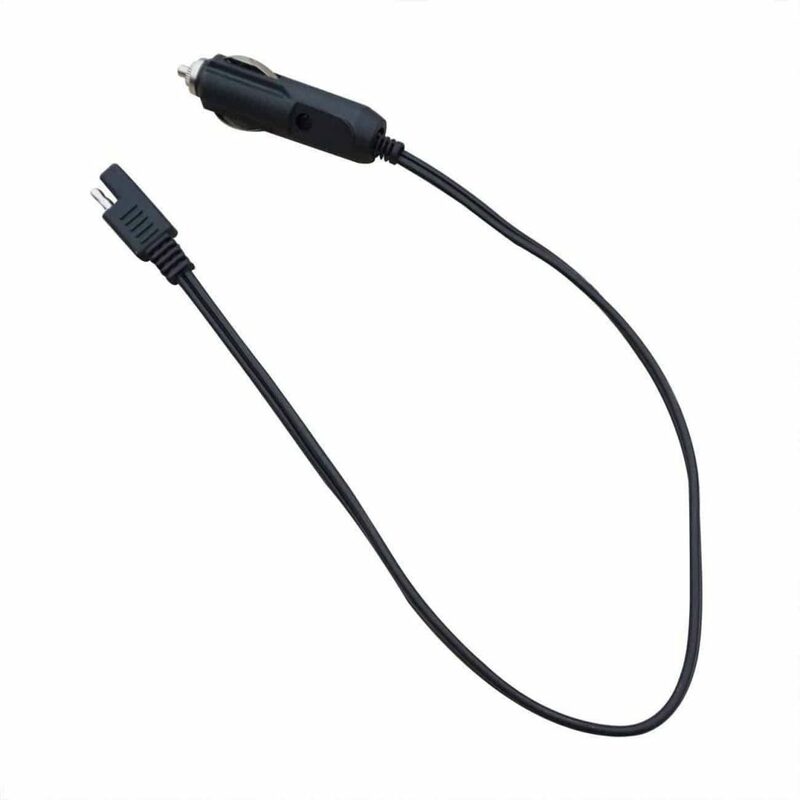 The only thing that we would do to improve this is to purchase an extra length cable for reaching further, thus avoiding the balancing act we had to perform to locate the best place for charging. However, this hasn’t put us off at all. 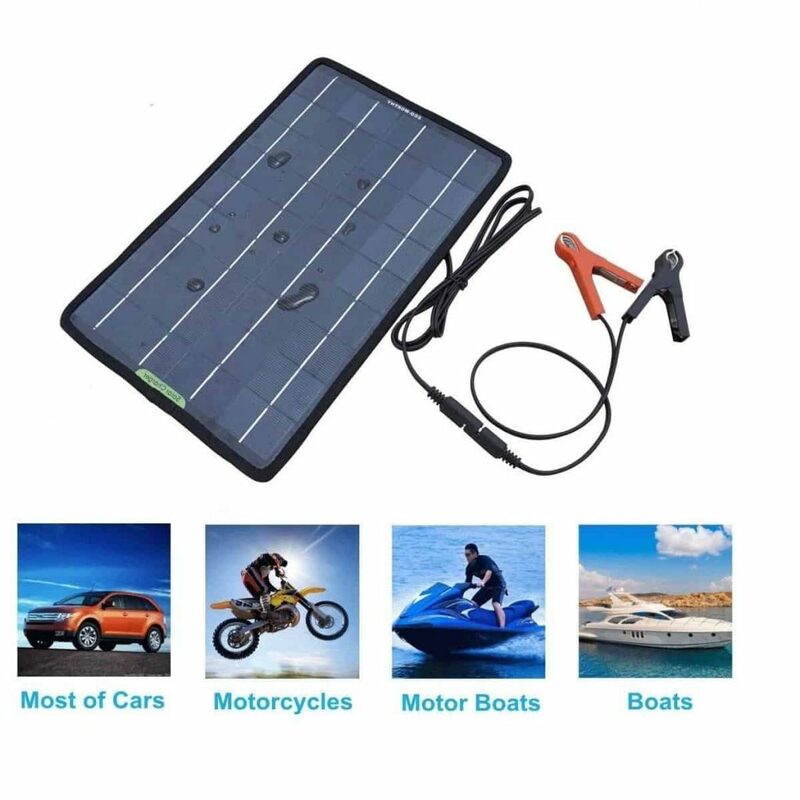 We found this solar battery charger so incredibly useful; it would make a great practical gift for a petrolhead, or anyone who runs the risk of a low battery situation.